This truck is the first truck to sport multiple functions. There were 2 versions of this year, a chrome grill and a gold grill. This is the chrome grill. 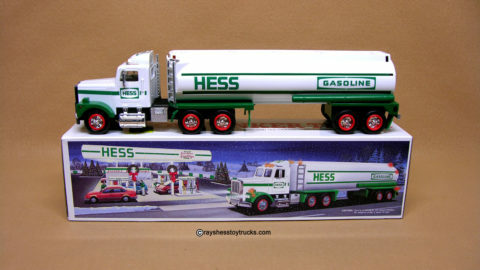 Features include flashing dome lights, as well as headlights and taillights operated by separate switches. 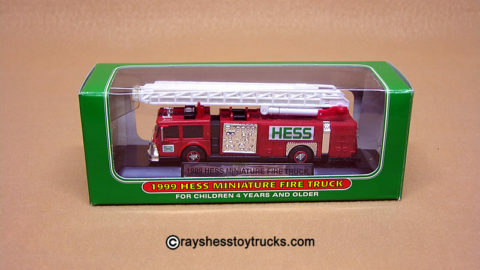 It also has an aerial ladder with three sections that swivel fully and a coin slot tucked under the ladder. Box is in excellent condition with bright graphics, complete with both top & bottom inserts.